Aluminum is a type of wiring used in the 1960s and ’70s as a cheap substitute for copper, that is no longer considered safe. The danger level is high, as aluminum corrodes when in contact with copper, so connections loosen, which can lead to arcing and fires. 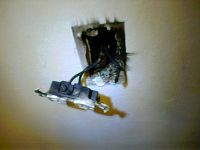 The U.S. Consumer Products Safety Commission estimates that the likelihood of having a connection reach fire hazard condition in a house wired with “old technology” aluminum wiring (manufactured prior to 1972) is 40 to 50 times that of a house wired with copper wire. There is genuine increased fire risk with such a home and the homeowner should make modifications to the house wiring system to lessen the risk. It is estimated that there are approximately 2+ million homes across the U.S. that are “aluminum wired.” These are predominantly tract built homes constructed between the years 1965 and 1972. There are differing generations of aluminum single strand wire but the solid aluminum wires are all considered essentially the same, higher risk. Most modern houses employ some aluminum wiring. Entrance cables from the street and through the meter to the distribution panels are most often aluminum as are the heavier 240 volt circuits that feed the major appliances in homes. An “aluminum wired” house is distinguished by the existence of single strand solid aluminum general lighting and minor appliance wiring. 1. Aluminum wire has a higher coefficient of expansion than copper and expands more when current passes through it. This can contribute to loosening at the connections. 2. Aluminum wire must be slightly thicker than copper to carry the same loads and this sizing difference may have contributed to loosening connections in early applications. 3. Metals in an oxygen atmosphere oxidize. Copper that oxidizes forms a conductor while aluminum oxide is a resistor. The resistance at the connections causes heat to build. 4. 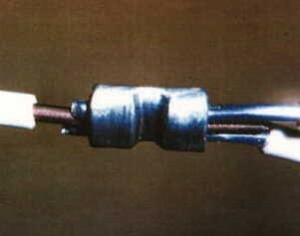 Unlike metals which connect can cause an oxide build as well and this may have caused an increased difficulty when aluminum wire was joined to devices intended for copper wire. The oxide added resistance. 5. The problem seems to increase as time goes by. This would seem to be due to increased loosening and oxide build. Here are some symptoms that you may have aluminum wiring in your house or that your aluminum wiring may have connection problems. 2. Unusual static on radio or TV. 3. Reduced TV picture size. 4. Arcing or sparks coming from switches or receptacles. 5. Cover plates on switches or plugs hot/warm to the touch. 6. Plugs and lights that don’t work. 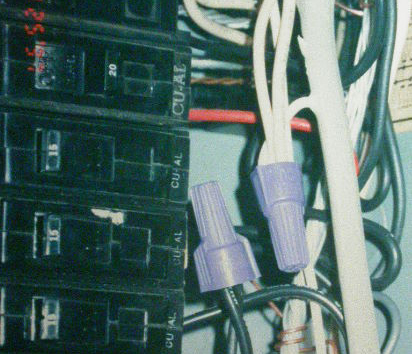 Dead circuits. 7. Circuit breakers that trip for no apparent reason. 8. 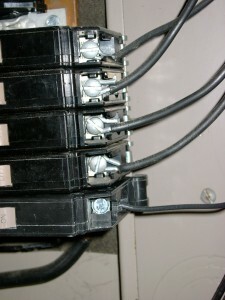 Arcing sounds within main distribution panels. 9. Melted insulation on conductors near connections. 10. Burning plastic odors near plugs or switches or lighting. 11. Smoke from switches or plugs or junction boxes. 12. Light bulbs that burn out quickly or shine unusually bright. A variety of modifications have been practiced over the years but only the “COPALUM” method is considered acceptable by the U.S. Consumer Products Safety Commission. 1. The IDEAL 65 Purple Twister – This is a more inexpensive “fix” but is not as safe or thorough as the COPALUM method. The IDEAL 65 Purple Twister Aluminum-to-Copper Wire Connectors feature a corrosion-resistant compound that penetrates corrosion build-up on aluminum conductors for conductivity and cool connections. 2. Crimp connecting with the AMP COPALUM connectors. The aluminum wire is attached to a short section of copper wire and a cylindrical device is placed over the wires and then is crushed to cold weld the wires together permanently.. Both the aluminum and copper wires are first cleaned with an approved antioxidant compound. This method is the US CPSC accepted one and is considered the highest quality risk reduction method available. Because it involves more time and equipment, it is more expensive. The TYCO COPALUM connector method is described at Pigtailing using AMP COPALUM connectors. Typically this approach costs about half that of completely re-wiring a home with copper. Warning: Working with older aluminum wire is more difficult than working with copper wire. 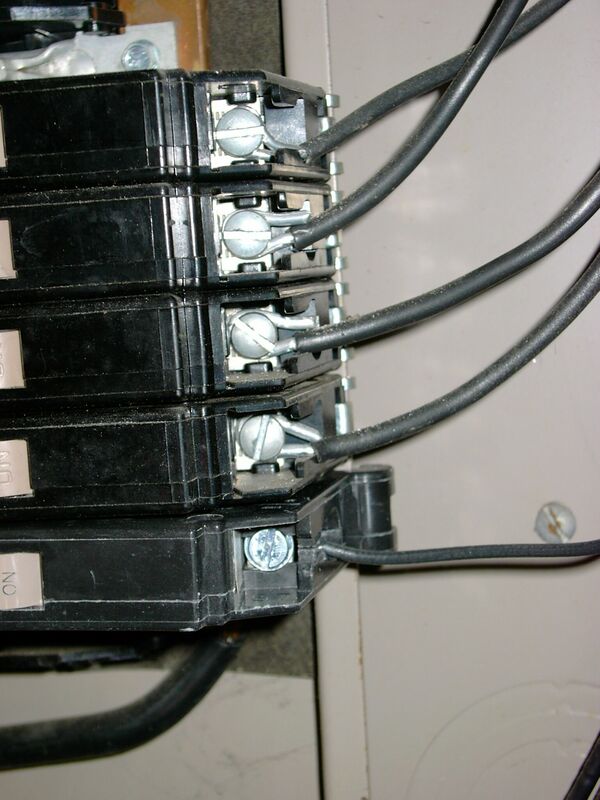 Aluminum wiring safety retrofits are best left to specialists. 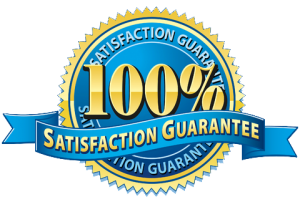 Call Defined Electric at 505-269-9861 or email one of our skilled Albuquerque electricians today to set up a free estimate for your aluminum wire retrofit project.